The Dragon Warrior series is known for expansive worlds and great storytelling, but the sheer number of titles may be overwhelming for newcomers. 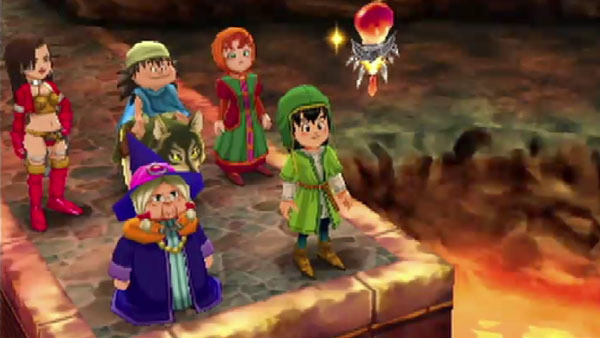 Thankfully, with an independent story, Dragon Warrior 7: Warriors of Eden makes it easy for anyone to jump into the Dragon Warrior series and doesn't require you to be familiar with the franchise to enjoy it. There are many returning features like collecting mini medals and the ability to change classes, but the story, characters and the world are brand new. 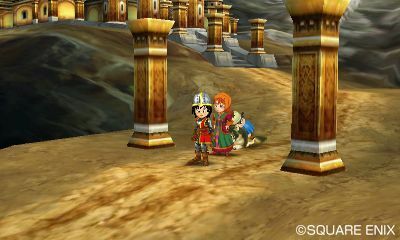 Dragon Warrior 7: Warriors of Eden is the first Dragon Warrior game to be released on a Sony platform. While the Nintendo releases had a couple of ”d words” in them, this game had them more frequently and one of the bosses calls your party b**tards. Violence is a given, but it’s not gory or violent. One of the towns has a kid being bullied and your party helps intervene. You’ll make many friends, and some of them have romantic implications. There are sexual references, including the ability for your character to get "puff-puff” for good luck at the casino. As you progress in the story, you will need the help of the four guardian spirits (aqua, flame, terra, and wind) to defeat the powerful evil spirit. To gain the help of the wind spirit, you must agree to send her five cute guys a year. It goes without saying that a few of the characters you encounter are notably promiscuous.